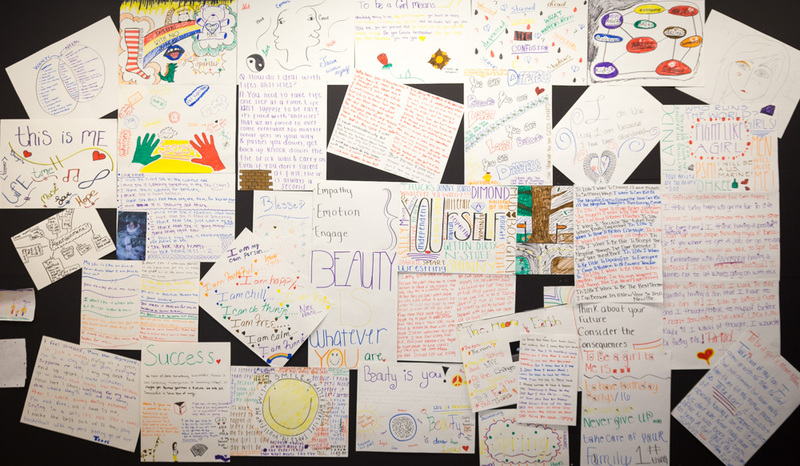 Girls, ranging in age from ten to 17, who have been abandoned, neglected and abused – physically, sexually and emotionally – have an outlet to express their inner thoughts thanks to the Buckham Art Gallery and Genesee Valley Regional Center (GVRC) Share Art Project. 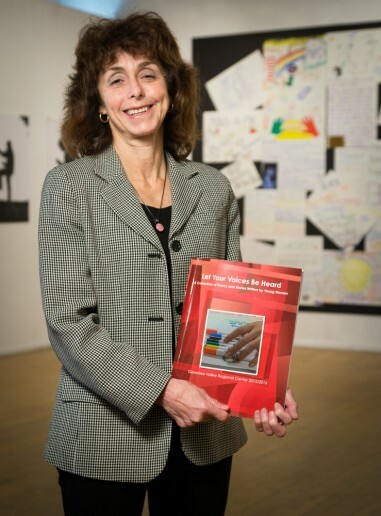 “Kids in a detention center usually have had little to no exposure to the arts,” says Shelley Spivack, an attorney/referee for Genesee County Family Court, and also project director of the Ruth Mott Foundation’s grant-funded Arts in Detention program, which began in 2011 as a pilot program to give young people residing at the youth detention center on Pasadena Avenue, an opportunity to experience and learn artistic techniques. More than 400 art fans, supporters and representatives from other donors – Michigan Council for Arts and Cultural Affairs, Zonta Club of Flint, National Organization for Women (NOW) and Rotary International – viewed the intense poetry, paintings, murals, a dance performance and other showcased art on its opening night Friday, April 8, during Flint’s ArtWalk event at Buckham Art Gallery. The exhibit will be on display until Saturday, May 7. Spivack began her relationship with Buckham Art Gallery in 1984, when she was in private practice and drafted the legal documents for its non-profit status. She later became a board member who envisioned helping the kids she dealt with in Juvenile Court by introducing them to fine arts. “Getting the chance to express themselves artistically is a lifesaver for many of these kids,” says Spivack, who states the budding artists are typically from broken families and have been victims of neglect and abuse. Spivack, a lecturer at U of M Flint, and Steve Hull, a fine arts and criminal justice student who shared her vision, teamed up with Buckham artists Todd Onweller and Traci Currie to establish The Buckham/GVRC Share Art Project. The program was immediately popular with the teens at GVRC. 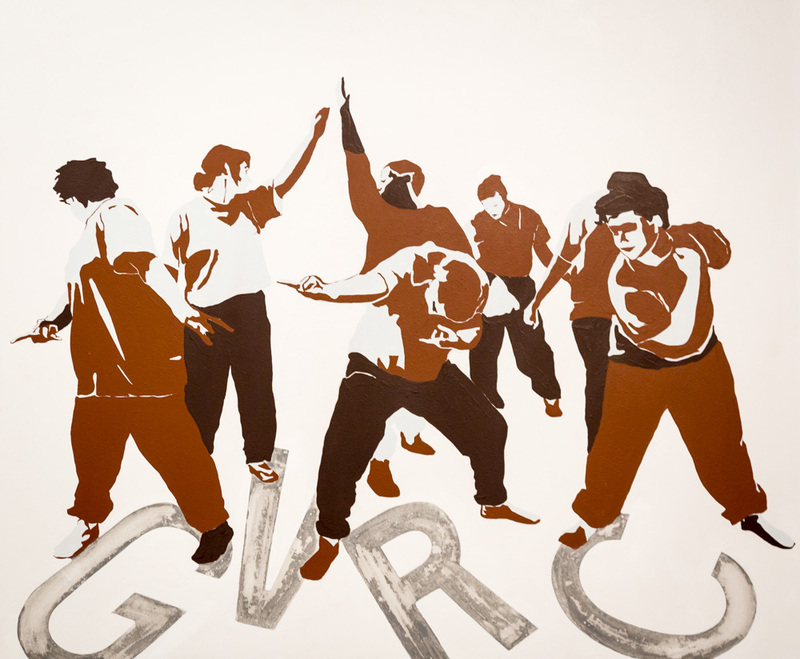 “The art instructors are local poets, artists, actors, and dancers who teach visual art, dance, theatre and Spoken Word Poetry workshops in the three wings at GVRC on rotating days,” says Spivack. 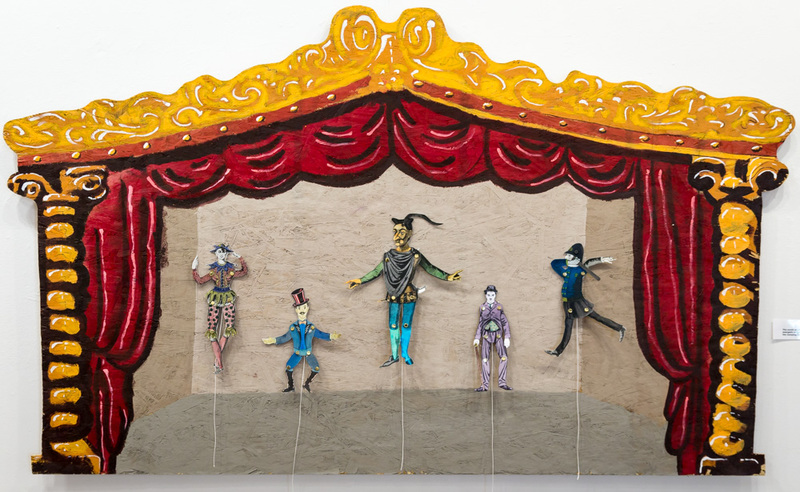 The art-learners are introduced to valuable forms of art and performance skills. Art displayed in the exhibit includes character drawings, foam art, painting on glass, and collaborative murals. Spivack’s team utilizes a research component to track various aspects of the project and ways to improve it. “As the project evolved the art instructors noticed how the girls were more drawn to the written word and poetry – they seemed to desire writing about deep issues, while the boys were more interested in drawing and visual arts,” she says. The decision to create gender-based Spoken Word workshops for girls and visual art workshops for boys stemmed from observations, surveys, and feedback from the young girls themselves and the art instructors who witnessed their need for a safe, female-led class where the girls could explore and express their inner struggles. 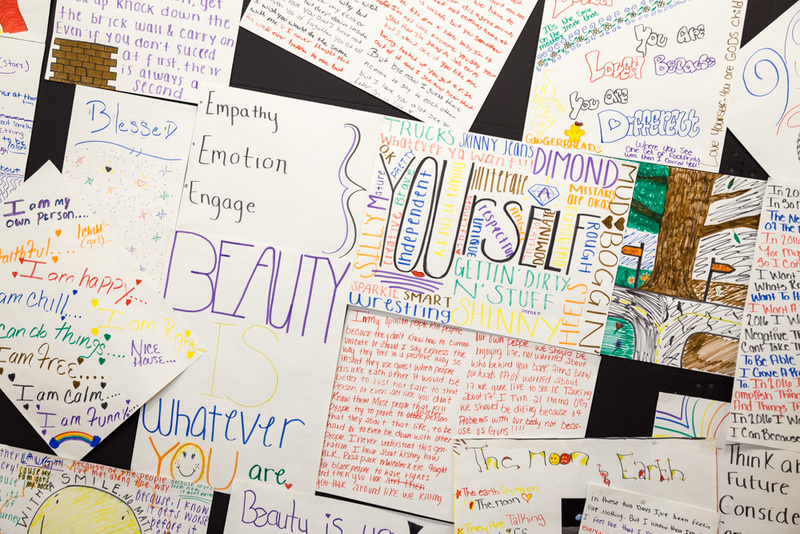 Meaningful results, such as a published book Let Your Voices Be Heard, a collection of the poetry and stories written by the girls, were some of the fruits from the gender-specific Spoken Word Poetry workshops. “Every girl receives a copy of the book,” Spivack says. “The expression on their faces when they see their poem or written material in print is remarkable. It’s the first time, for most of them, to see their work published, and they are proud.” In addition, the exhibit features a video installation of the Spoken Word Poetry, created by award-winning filmmaker, Zackary Canepari. Viewers can hear the voices of the artists while watching videos of the girls’ performances on the walls in the gallery. 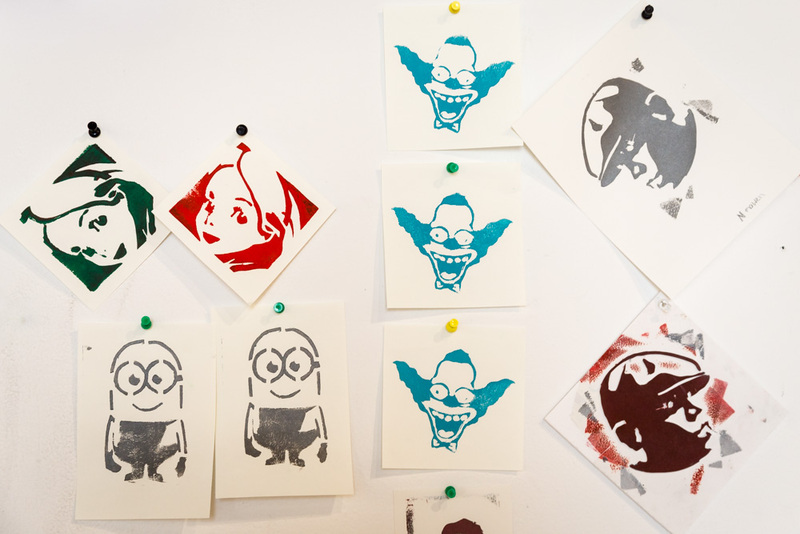 Another benefit emerges from participation in the Share Art Program. “When a young person arrives at GVRC, their personal identity is stripped away and life is behind locked doors,” Spivack explains. As portrayed in the “West Wing” mural created by the boys, “sneakers are replaced with non-brand name, flip-flop style shoes and everyone is given the same miniature toothbrush.” The weekly art sessions are a chance to heal, convey thoughts and take ownership of their time at GVRC in an affirmative way. “Many of the youth come to the art class depressed and angry,” says Spivack. “When they leave, they’re happy, motivated, and willing to make changes in their lives.” Recently, Spivack learned new funding will be coming from the Hagerman Foundation and Michigan Council for Arts and Cultural Affairs. “These new grants will allow us to continue and expand the Buckham/GVRC Share Art Program for another year and to expand our newest theatre workshop ‘Shakespeare Detained,’” she says. The artists, instructors and donors are all enriched. “The generous donors allow more sessions with art instructors, more art supplies and more changed lives,” Spivack shares. To learn more about the program, email sspivack@umflint.edu or visit buckhamgallery.org.